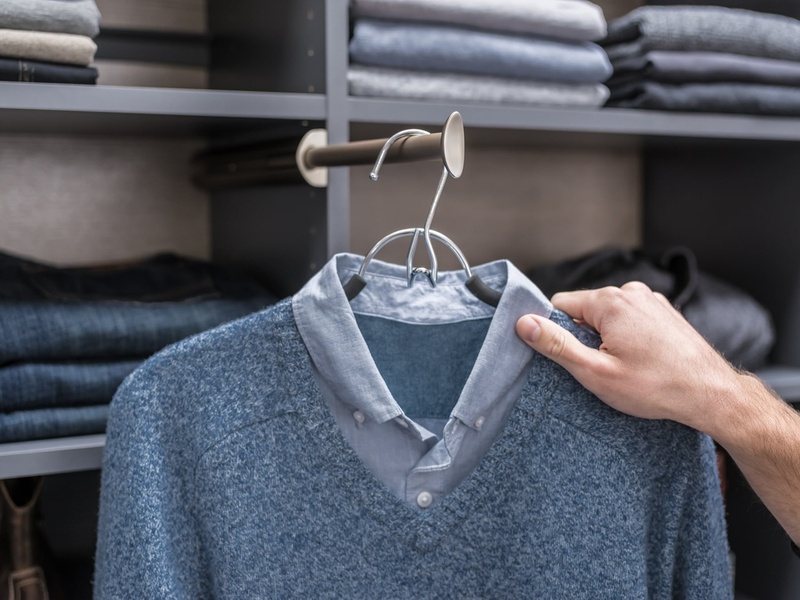 A valet rod pulls out whenever you need it, offering a convenient spot to hang clothes for the day. The sturdy rod extends 10 inches when in use, and then slides back into your closet for space-saving storage. Shown in Matte Nickel, this Valet Rod is available in several finishes.